Interesting, jal-- you are usually the advocate for plenty of space between your plants! To me it looks way over crowded, but I don't even grow melons because I don't have the room. I guess it depends on if you have the room to let the vines spread out from where they are, either across the ground or up fences/ trellises as people have been suggesting. But they are going to take up a LOT of space. ha ha Stella, cracking me up with the advise on the pictures. I will do that. 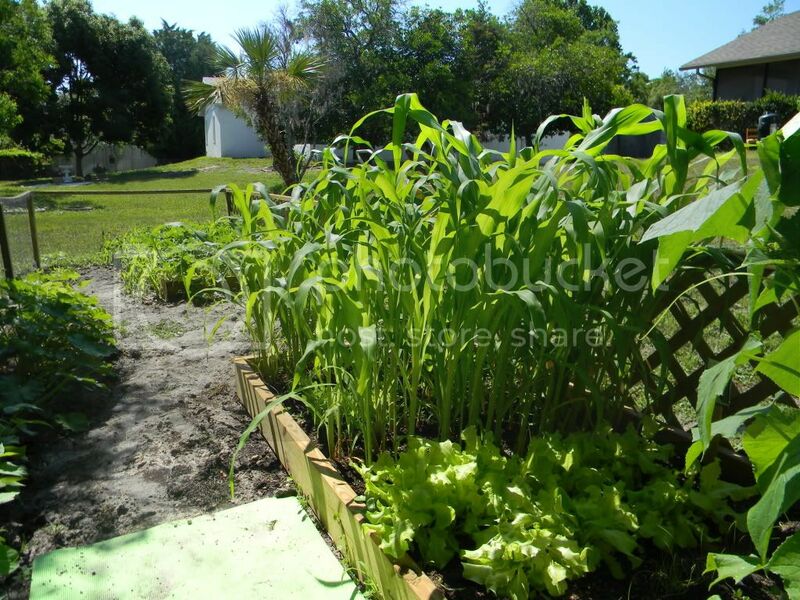 Anyway, they are in raised beds, they are approx 5 1/2 feet x 13 feet long. I have other things at the other end of the bed, like peas, lettuce, green scallions, and now I am terrified the watermelon will take over the entire yard. no joke. Last edited by fla_beach_bum on Sat May 07, 2011 2:08 am, edited 1 time in total. The raised beds are about 5.5 feet x 13 feet. Yes, however in this case, it would be very detrimental to try to move any of those plants. IMO, it is best to just let them grow and see how they do. The other option is to yank about half of them, but I would prefer to let them grow. Those types of plants have a tremendous root system and will likely do quite well even if crowded. Yes, the vines get quite long. You can direct them to grow in the direction you want them to grow. They will quickly jump out of your raised bed. You can watch and when you get a good melon set on a vine, clip the vine past the melon so it won't get longer. I hear of watermelon vines getting 20 feet long, but they won't do that in my climate. They get about 8 feet long here and cants maybe 5-6 feet long. Different varieties may behave differently too. 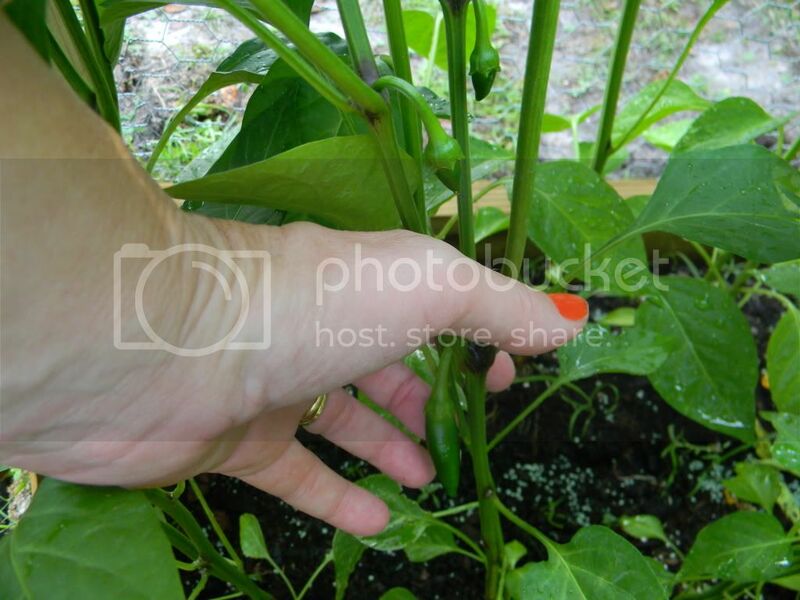 When planting one should try to visualize what they will be when grown and plant accordingly. thank you jal for the advise. I am going to try to trellis some of the watermelon and canteloupe and then cut the rest back so the rest of the garden (in that area) will have a fighting chance. 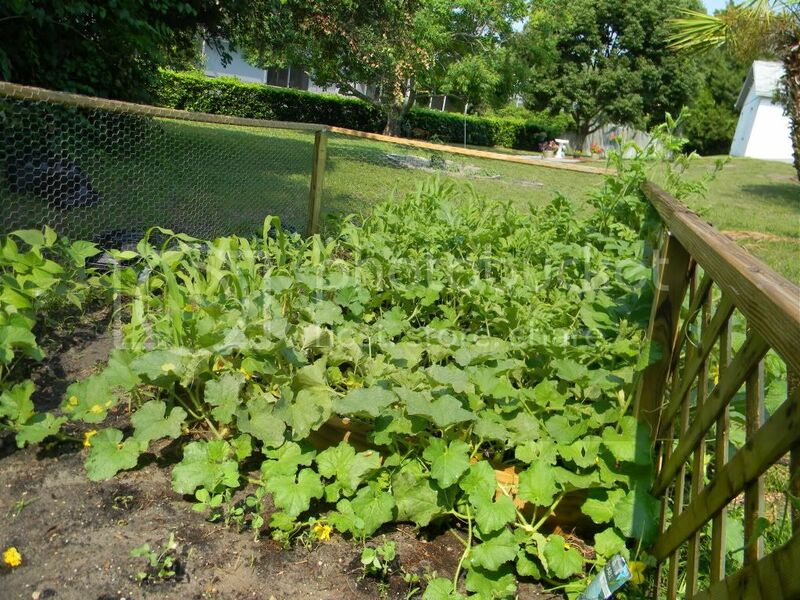 Here is my watermelon patch last year before the melons developed. There was about a 9 foot wide space there between the grass and the beans. Before the vines got done they were in the corn and the beans and out in the grass. That didn't seem to hurt anything. I did get some good melons. I planted a row with a seed every 8 inches. Not all came, but a lot did. These are probably overcrowded. 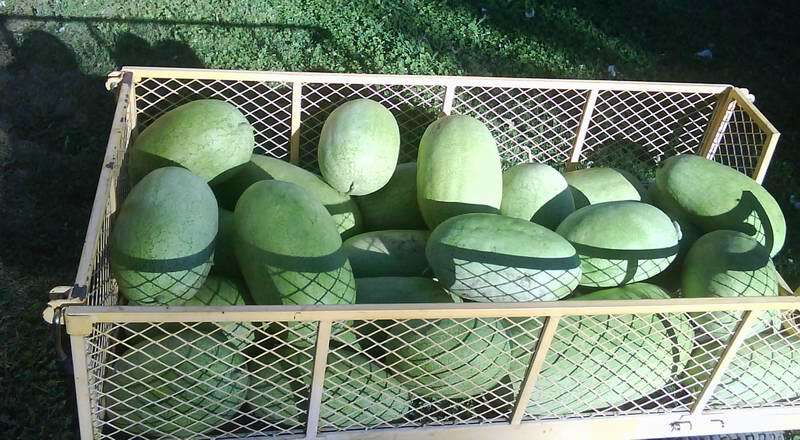 It is interesting that the melons arranged themselves to cover every available square inch of area. I did not rearrange any of these vines. I could probably get larger melons if I gave them a bit more space, but I don't need big melons. Many of what I got were in the 20 pound range. The variety is Charleston Gray. I turned the camera on a weird angle to get it all in the frame. Hope it doesn't make you dizzy? You may trellis the cants ok, but I can't see melons like this on a trellis. I think they would break the vine. Just let them go and direct which way they grow. So beautiful. I will be happy for one or two gorgeous water melons like those!!!!. Yea, no way i can trellis the watermelon. 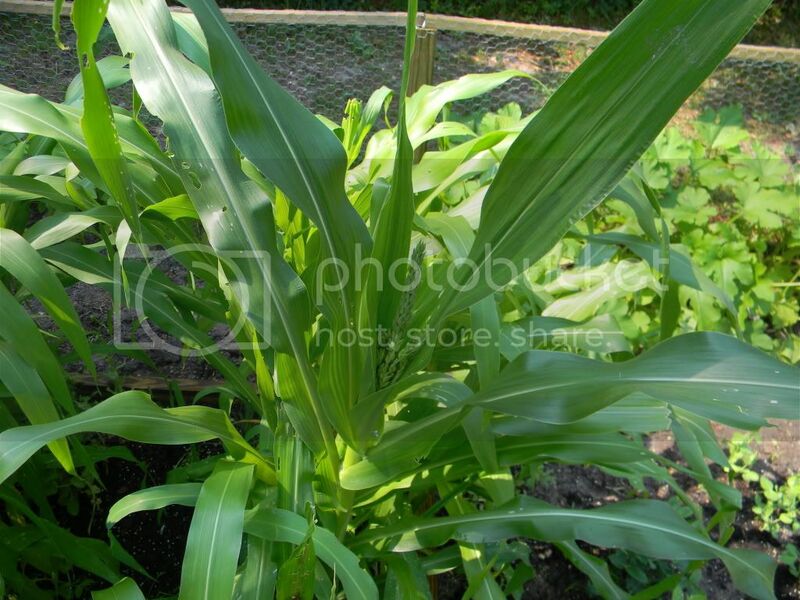 I am enouraged to see that you had corn so close to the melon and it looks fantastic. 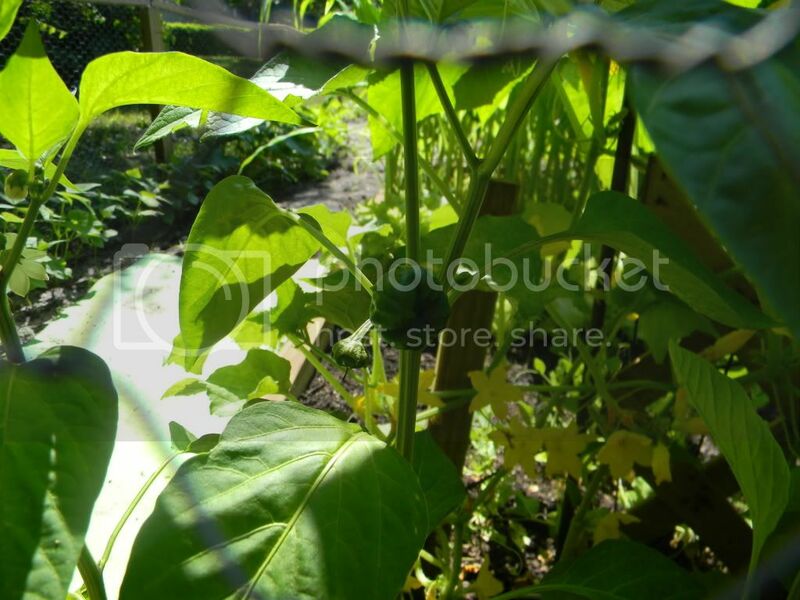 The thread "BP's trellis" that stella posted a link to earlier on this thread, I messed up. I rearranged my photobucket account not thinking. I posted the pics on another thread about a month ago. If you want the pics just pm me and I'll send you the pics of the trellis. I think based on your melon bed pics you will be fine, but I learned last year that spacing cantaloupe plants is important or you'll get PM. Keep an eye out for that. Stella, I start assembling the A frame cuke trellis tomorrow. Goal is to stay as cheap as possible. I'll post pics when finished. 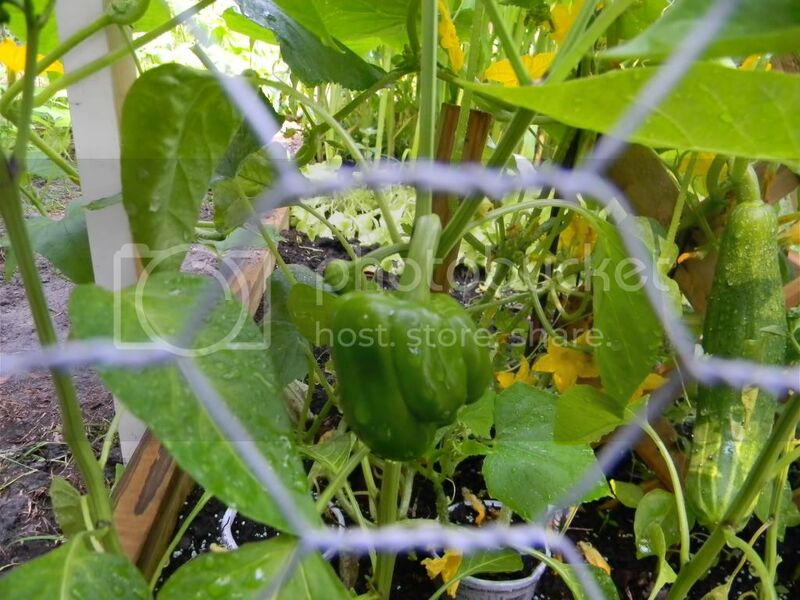 BP wrote: Stella, I start assembling the A frame cuke trellis tomorrow. Goal is to stay as cheap as possible. I'll post pics when finished. The other question I want to ask has to do with spacing. I'm toying with putting the four Sugar Babies in one half of an 8 x 4 raised bed and the three Fordhooks in the other half. 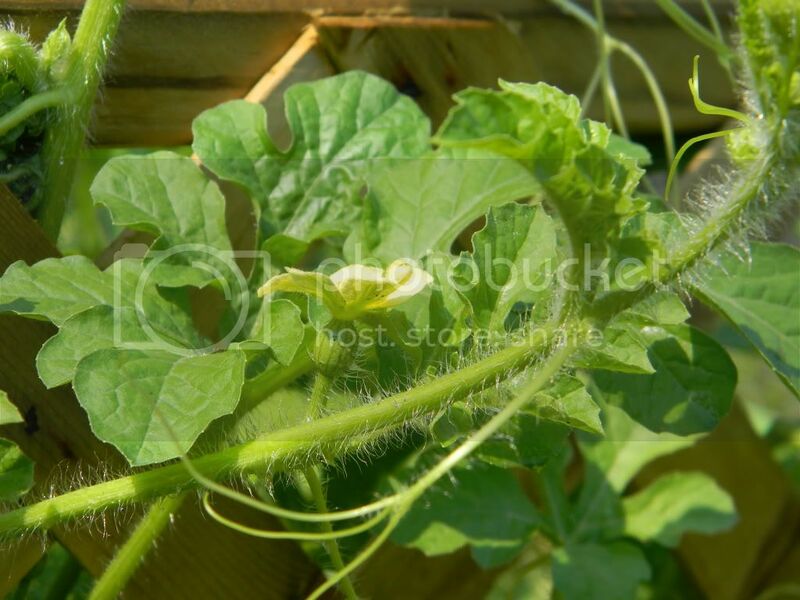 Will that work, or is that too many watermelon plants in one bed, even if I do use a trellis? Sorry for horning on on your thread, fla_beach_bum. I've been watching and waiting for someone to come right out and discuss ideal spacing! Ha! I found the answer to my spacing question online at Growing Taste. The author, who is growing a 5- to 6-pound variety, writes that "more traditional techniques say about 24 inches for icebox types in rows, so the 18 inches for a deep-dug bed sounds about right." Ok, so now it has been about a week and this is what is happening with the canteloupe/watermelon. I am very excited I saw a little watermelon on the plant for the first time this a.m. I didn't see any bees so took it upon myself to smother the flower with the male flower, hope it takes. Anyway, should I try to pull some of the plants out of there, or do you guys think this is going to be ok the way it is? Here are some other things growingin the garden. They seem to be doing pretty good, although the green pepper is a very strange shape. see my cucumber hiding in the back of the picture. I am thinking about taking that off today together with some of that lettuce for a nice salad. I am sticking to my first assessment of the melon patch. The pepper will remain crooked. Not a problem, when it looks ready, enjoy! When to start basil, canteloupe, cukes, and sunflowers? can my new peas be too crowded?